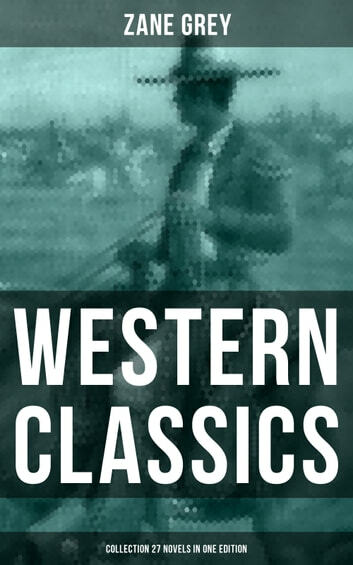 This unique collection of "Western Classics: Zane Grey Collection (27 Novels in One Edition)” has been designed and formatted to the highest digital standards. Table of Contents: Betty Zane The Spirit of the Border: A Romance of the Early Settlers in the Ohio Valley The Last of the Plainsmen The Last Trail The Heritage of the Desert The Young Forester The Young Lion Hunter Riders of the Purple Sage Desert Gold The Light of the Western Stars The Rustlers of Pecos County The Lone Star Ranger: A Romance of the Border Rainbow Trail The Border Legion Wildfire The UP Trail The Desert of Wheat The Man of the Forest The Mysterious Rider To the Last Man The Day of the Beast Wanderer of the Wasteland Tappan's Burro Roping Lions in the Grand Canyon The Code of the West Valley of Wild Horses The Fugitive Trail Tales of Lonely Trails (Author's Account of American Wild West Trails) Zane Grey (1872-1939) was an American author best known for his popular adventure novels and stories that were a basis for the Western genre in literature and the arts. 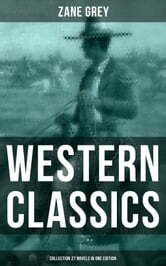 With his veracity and emotional intensity, he connected with millions of readers worldwide, during peacetime and war, and inspired many Western writers who followed him. Grey was a major force in shaping the myths of the Old West; his books and stories were adapted into other media, such as film and TV productions. He was the author of more than 90 books, some published posthumously and/or based on serials originally published in magazines.